Blowout Sale! Free Shipping Included! 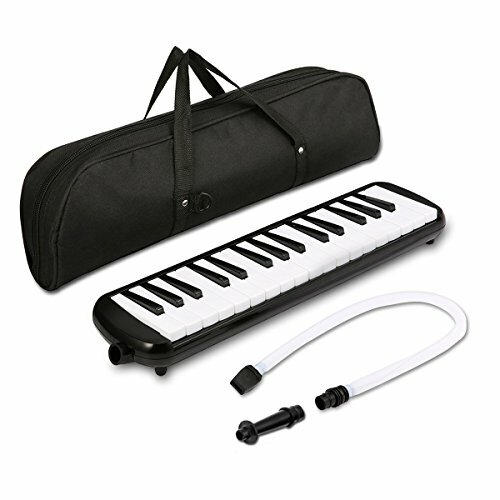 Save 54% on the Melodica instrument - NASUM 37 Key Piano Style Melodica,Melodica keyboard Suitable for Teaching and Playing,with Carrying Case (Black) (37) by NASUM at World of Justin. MPN: 4334322945. Hurry! Limited time offer. Offer valid only while supplies last. ♫ EASY TO PLAY: 37-key piano style melodica, easy to play and learn.Perfect for teaching little kids or people who are beginning to play the piano as its easy to learn. ♫ HOW TO PLAY: With the short mouthpiece, you can hold the instrument with one hand (slide your hand under the strap) and play with the other.With the long bendy straw mouthpiece you can set the melodica on a table and play it like a small keyboard. ♫ NO NEED BATTERY: It doesn't need batteries and electricity,just simply blow into the tube and start playing. ♫ ACCESSORIES COMPLETE: Comes with a bag for easy carrying and storing,and tube,Shoulder strap.Easy to carry and store.A great gift for children. ♫ EXCELLENT SERVICE: We will provide professional guidance about things like how to play or instrument maintain, please feel free to contact us when you have any problems. If you have any questions about this product by NASUM, contact us by completing and submitting the form below. If you are looking for a specif part number, please include it with your message.